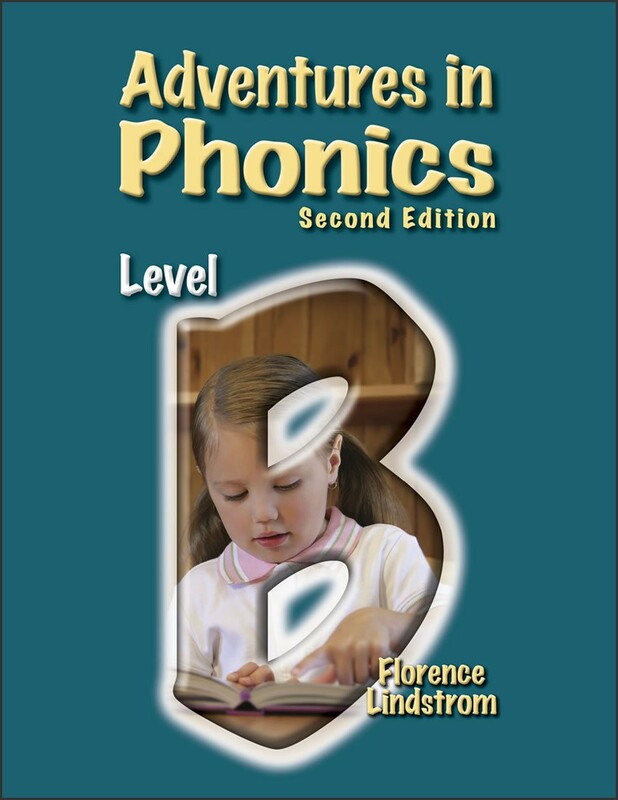 The second course in Adventures in Phonics series, Level B continues the formal study of phonics—covering topics such as blends, digraphs, diphthongs, silent letters, and more. It also introduces syllables, apostrophes, synonyms, antonyms, and homonyms. Drill, repetition, and writing activities are used to help ensure comprehension. Phonics and alphabet charts are included at the end of the workbook. Teacher Manual available (Item #3839). From Christian Liberty Press. The second course in Adventures in Phonics series, Level B continues the formal study of phonics—covering topics such as blends, digraphs, diphthongs, silent letters, and more. It also introduces syllables, apostrophes, synonyms, antonyms, and homonyms. Drill, repetition, and writing activities are used to help ensure comprehension. Phonics and alphabet charts are included at the end of the workbook. Teacher Manual available (Item #3839). From Christian Liberty Press.